Akari: Sculpture by Other Means occupies The Noguchi Museum’s second-floor galleries. 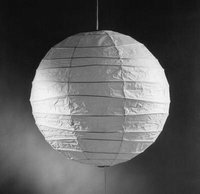 It includes several installations that allow visitors to experience ways that Isamu Noguchi’s Akari—a modular ecosystem of lightweight, collapsible paper lanterns—can create and transform space. The installations create a series of environments that convey the essential values of Akari, drawing on the organizational, structural and ephemeral qualities of nature, and exemplifying Noguchi’s concept of light as both place and object. For more information or updates on this event, please visit the link below. APA_Institute . Última actualización Oct 17 2018 1:32 p.m.